Experimental archaeology can be a very useful asset when we are trying to gain a better insight on how things were done in the past. One way it helps us is to gain some understanding of the techniques our ancestors used to get through the tasks of daily life. It can also aid an archaeologist in testing out methods and deciding how accurate our recreation of past ways really is. For example, no one today can say exactly what a Bronze Age pendulum saw would have looked like or the specific method in which ancient Mycenaean stone masons used it. But a creative archaeologist in the USA has come across a form and technique which seems to mirror past ways. As ScienceNews points out, no Bronze Age frameworks or blades have been found in the archaeological record to date. However, there has been a popular belief for the last 30 years or so that a swinging sharp metal blade was a preferred method for cutting rock by Greece’s Mycenaean civilization . Curved incisions are all that we have today to hint at the procedure. The pendulum’s blade was a tricky feature. Thus, they created four versions of bronze blades – a long, curved one, a triangular blade with a rounded end, and short and long versions of straight edged saws. Water and sand were added during the experiment to increase lubrication and cutting power. Blackwell and his brother-in-law, Brandon Synan, were in charge of testing the pendulum saw on some limestone. 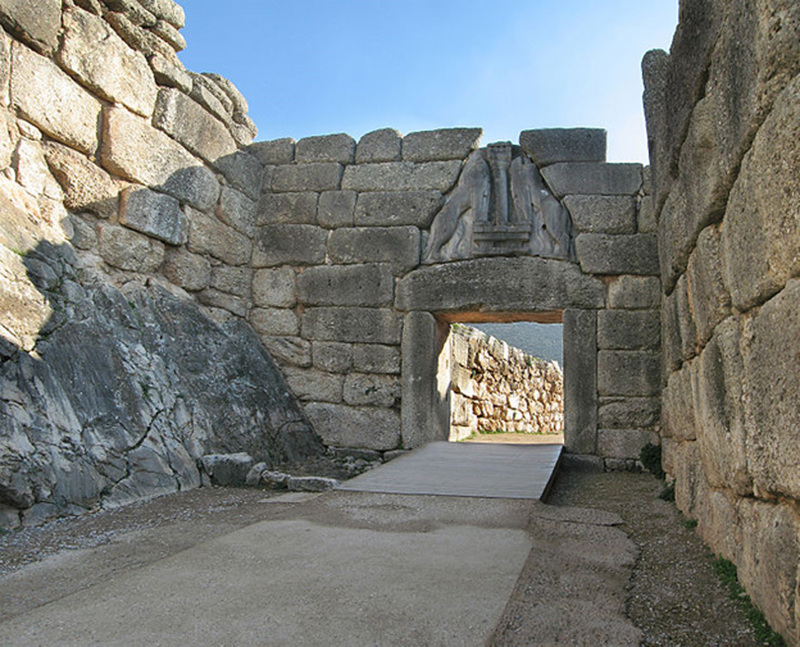 With some strong arms and trial and error, they eventually gained a result - a functioning pendulum saw which cuts through stone following the distinctive curved mark found on Mycenaean Bronze Age pillars, gateways and thresholds at palaces and some large tombs . While Blackwell and others seem convinced that the pendulum saw was the method of choice for Mycenaean stone masons, not everyone agrees. One of the main challengers to the pendulum saw is archaeologist Jürgen Seeher of the German Archaeological Institute’s branch in Istanbul - the only other known archaeologist to have built and tested a reconstruction of a pendulum saw. Seeher published a paper in 2007 stating that “a long, curved saw attached to a wooden bar and pulled back and forth by two people, like a loggers’ saw” [via ScienceNews] would have been superior to the pendulum saw. He argued the two-man saw would have provided ancient stone masons with an easier way to obtain precision than the pendulum saw. But Blackwell explained away this problem to ScienceNews, stating that the ancient Mycenaean stone masons likely had training and obtained their skills with the pendulum saw as people learning a trade still take apprenticeships to increase their knowledge and abilities today. Furthermore, he suggests people would have worked in teams to make the difficult task a little easier. The results of Blackwell’s recent experiment are published in the journal Antiquity.